ADGA is governed by a Board of Directors, who have the power and authority to make, amend, repeal and enforce rules and regulations not contrary to law. The term Director is a person who has been elected by the membership of a Directorial District. The Board of Directors consists of the eligible number of Directors elected by the Members of the Directorial Districts into which the territory of this Association is divided. In Directorial Districts having more than one State, at least one Director must be domiciled in a State other than that of the other Directors of that District. The Directorial Districts are created to facilitate equitable representation of all sections of the USA. There can be no less than eight Directorial Districts, nor can the number of Directors exceed forty. Directors are elected for three year terms and each District elects at least one Director each year and no more than two for full terms in any one year. A Director must hold an individual membership in the Association and be a natural person at least 21 years of age. A Director must be domiciled in the District he/she is elected to represent. 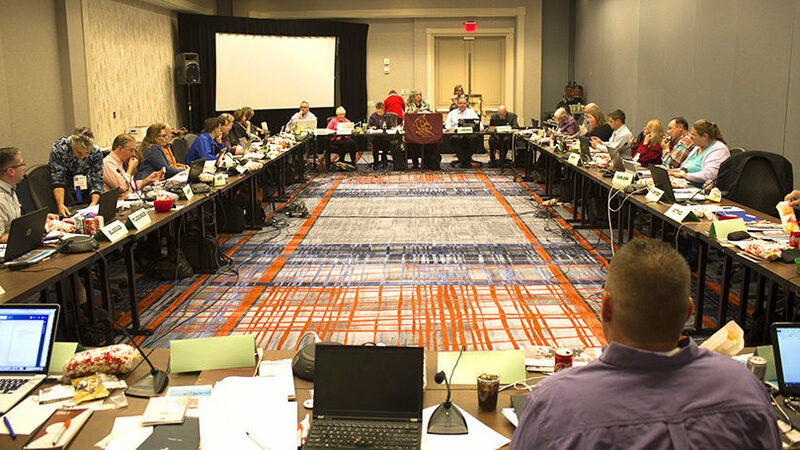 The Board of Directors elects an Executive Committee annually, with officers who act on behalf of the Board and as authorized by the Board. The President, with input from the Executive Committee, appoints Committee Chairs and committee members annually.